OPA is locally owned and locally involved. 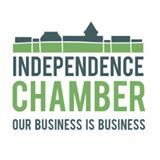 We take pride in keeping dollars local and giving back to our community, not only financially, but also through many charitable efforts, the chamber of commerce, and community projects. We are a corporate sponsor for Big Brothers and Big Sisters and are very involved with many other community-based organizations. Our commitment to the buy local philosophy is firmly founded in our belief that our community can thrive only through supporting one another in business and in charitable endeavors.